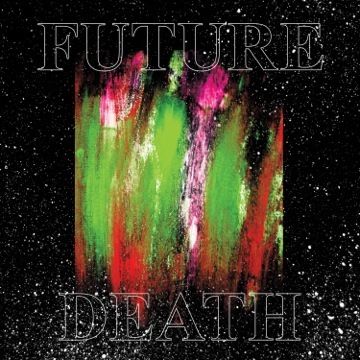 Future Death’s debut full-length Special Victim was reportedly recorded in a one-time funeral home. While that might be appropriate given the Austin-based noise/acid-punk band’s name, it doesn’t seem to lend a “vibe macabre” to the sheen of the album. SWANS and The Faint this is not. Instead, the record has a bright, Ritalin-dependent quality and sounds as if it were recorded on a mixer made of sand and chicken wire in a catacomb somewhere shy of a missile silo and a Great Plains fracking operation. Songs like “Basements,” “Roman Devices” and “Post-Everything” splash around like a dozen unmitigated sneezes in an array of uncontrollable splatter, the drums setting forth on one adventure and the guitars another. The vocals and bass fly around close by. It all adheres close enough to maintain some semblance of the basic rock structure. There usually is beauty in chaos, and Special Victim is no exception. Most of the songs erupt and spurt and stutter and explode, giving the listener permission to let loosen up all that pent-up energy stored while wasting away in a cubicle in some antiseptic, spreadsheet-obsessive office. “Dream,” the record’s masterpiece, takes the rapid-fire percussion of your favorite basement-ready punk band and marries it with the guitar hysteria and angelic textures of My Bloody Valentine, bounded by a bellowing mantra straight out of 18th-century Austria. The halfway point, “Transparent,” and the closer, “Cornered,” slam the brakes on all of these fireworks and finally offer up a hint of that Six Feet Under vibe. What once was a constant onslaught of kinesis is now a slow, haunting series of psychedelics and Bilinda Butcher chants, emanating from the smells and bells of an ancient tradition forged in the grasses of Windermere. The mellotron-style tones mourn about like a dying machine, the one special victim in a sea of murders of the sensibilities of those who bow at the altar of the four-on-the-floor rhythms that exist in boring cities. Expect to listen to this record several times, either to take in the sheer beauty inherent in the twitchy, skittering noises and face-busting chaos or to simply gain an understanding into why the songs even exist. Either way, Special Victim is brutal, touching and culturally significant.